Chinese herbs work at an organic level and are especially effective in treating so-called ’emptiness syndromes’ such as fatigue and chronic complaints. 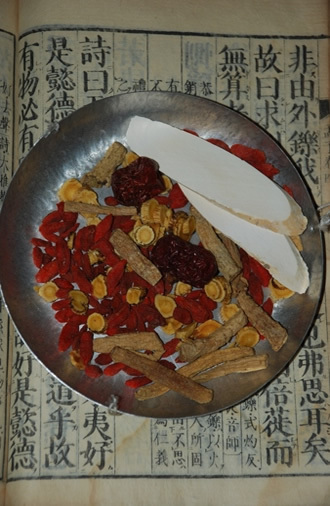 Chinese herbal formulas have been used for medical purposes for thousands of years. The first Chinese Materia Medica Shen Nong Ben Cao Jing dates from the first century BC. Since then, numerous doctors have dedicated their lives to the development of herbal formulas. To this day, millions of people use Chinese herbs for numerous ailments. The Chinese dietetics emphasizes the relationship between man, seasons, temperature and taste. Thus, ginger is hot and good if you easily feel cold, especially in winter. Melon is cold and comes in handy if you feel hot easily, especially in summer. Your health benefits from eating seasonal foods that fit your constitution.